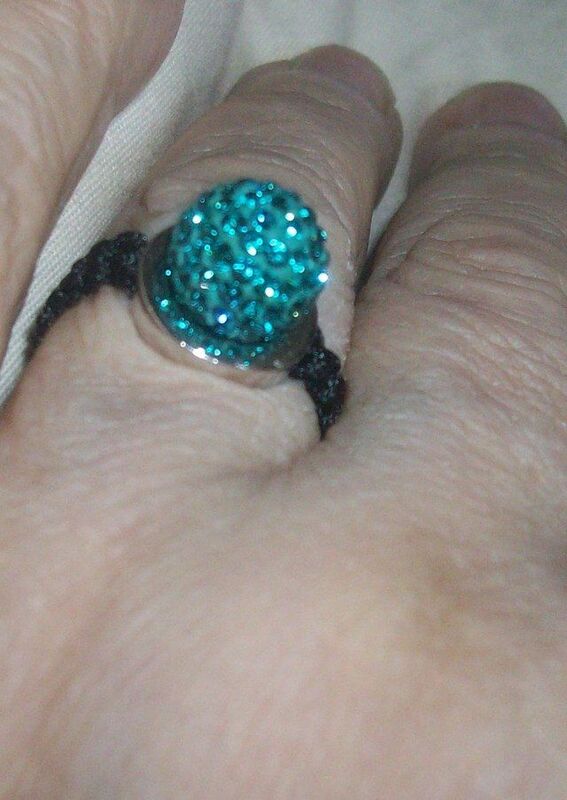 Macrame and Teal Crystal Ring - 7 So Cool! 18 karat rose gold plated sterling silver 1.2mm CZ ring. The CZ design measures approximately 16.5mm across the top of the band. Will fit a small 8 and loosely, a 7 1/2.